One of the reviewers of this book (Dr. William A. Irwin) said that the Worlds in Collision was a sin worse than prostitution, even worse than communism, and announced to be "the great peril of our time". ''I was compelled by logic and by evidence to penetrate into so many premises of the house of science. I freely admit to having repeatedly caused fires, though the candle in my hands was carried only for illumination." 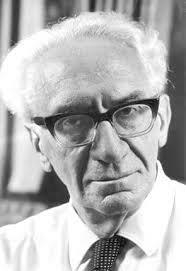 Immanuel Velikovsky was one of the greatest scientists of modern times. However, he fell victim to one of the most intense slander campaigns since the Middle Ages. Immanuel Velikovsky first presented the results of his decade of interdisciplinary research on the basis of modern catastrophicity - based on eyewitness reports by our ancestors and 'myth' - and shook the doctrine of uniformity of geology as well as Darwin's theory of evolution. Earth altering the nature and development of the solar system, Earth and humanity on a new basis - which faces continuing backlash. For a definitive reason: there is veracity in his models. Worlds in Collision - in a brilliant, digestible and entertaining style with precise information. ''Declaring that of the five worst of mankind, the 'genius maniac' is the most potent killer, he [Dr. Harlow Shapley, Director of the Harvard Observatory] suggested genius could be controlled by killing off, in the infancy; 'all primates that show any evidence of promised genius, or even talent.' His drastic remedy was made in speech to the American Association for the Advancement of Science [AAAS] in Boston, Mass. Members elected him president for 1947." ''Harmony or stability in the celestial and terrestrial spheres is the point of departure of the present-day concept of the world as expressed in the celestial mechanics of Newton and the theory of evolution of Darwin. If these two men of science are sacrosanct, this book is a heresy. However, modern physics is a dramatic change in the microcosm - the athom - the prototype of the solar system; a theory then, that imagines dissimilar events in the macrocosm - the solar system - brings the concepts of physics to the celestial sphere. 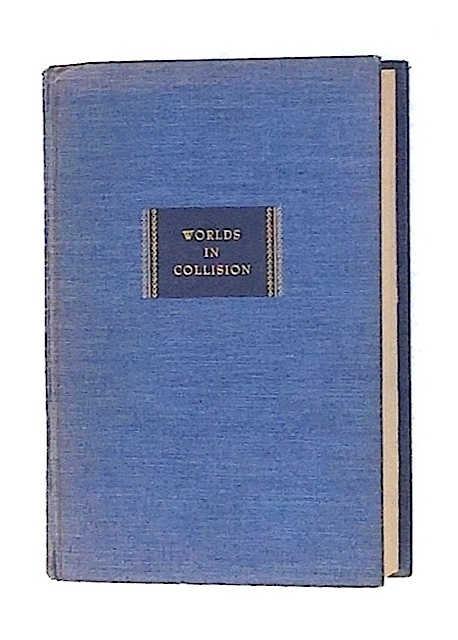 Worlds in Collision, Macmillan & Co, New York, 1950; 1st edition, 1st printing (stated), p. xiii, 401: index, hardback covers; the spine is sunned; fine condition; signed and inscribed by author. This presentation copy is dated in hebrew: ''erev pesach'' / Eve of Passover = April 1, (or March 31) 1950. It is noteworthy that the first copies of World Collision were reported in bookstores only on April 3. As a result, this copy is one of the few copies received by Velikovsky under the Macmillan contract. On February 25, 1974, the AAAS organized a symposium on Velikovsky's ideas. The meeting was held like a medieval disputation. Velikovsky has overcome himself in the fight with the inquisitors. However, he was pleased that his views could be compared by those of the scientific community. 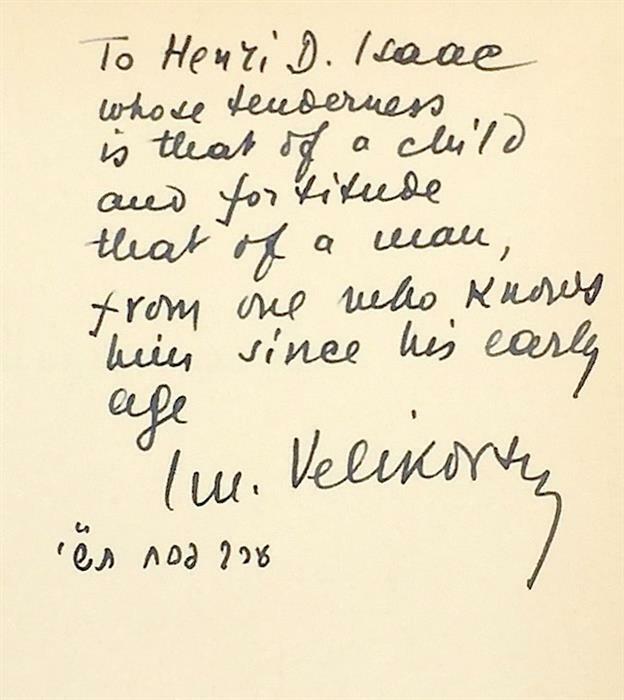 As a result, in March of the same year, Velikovsky offered 'with appreciation' a copy of World Collision to Leonard M. Rieser, who worked on the Manhattan Project and was the president of the AAAS in '74. We added this copy: Doubleday, undated, New York, pp. xiii, 401: index; signed and inscribed by author; the dust jacket is sunned; fine condition.